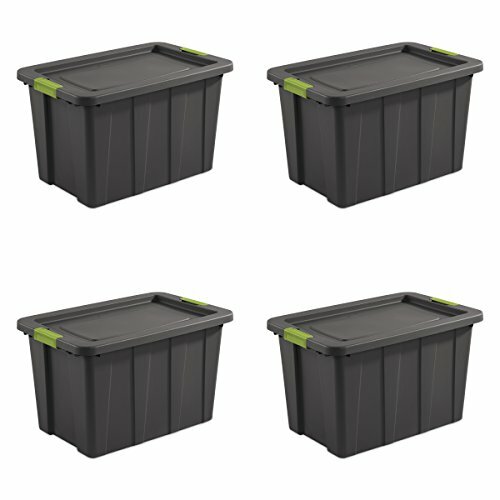 Made from polyethylene, these rugged Latching Tuff1 Totes are durable even in colder environments and ideal for storing items in the garage, shed, or basement areas. Latching Tuff1 Totes are a great storage solution for camping supplies, sporting equipment, and seasonal items. Indexed lids offer secure stacking capabilities for efficient use of vertical space and the channeled walls provide added strength to help support heavier loads. Robust latches securely attach the lid to the base and provide a comfortable grip for transport.